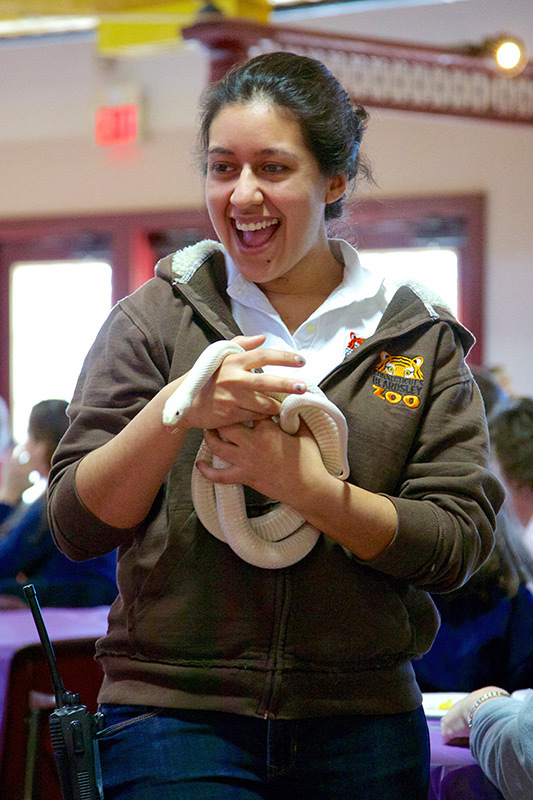 Liven up your lesson plan with the Zoo’s exciting, hands-on educational programs here at the Zoo, or we’ll bring the zoo to your classroom, auditorium or campus. Inspire your students from pre-K through College to learn about science, animals and the environment. FIELD TRIPS: Explore the Zoo at your own pace with a fun-filled, self-guided field trip. As always, we are happy to work with you on specific programming topics to meet your curriculum needs. Our programs are aligned to Connecticut Science Standards.